For some reason there are a lot of people out there who would rather lie, cheat and steal, than to go out and earn an honest day’s living. Because of that, credit card scams are on the rise, and one of the more prominent tools used to perpetrate the scam is email. In this case, the scammer will send you an email message (scam) that appears to be from your credit card company. It will typically look almost identical (in overall appearance and format) to the messages you typically receive from your company. The email may report a theft or other some other problem with your account and will direct you to click on a link to access, or update, your account. Once you click on the link you’re taken to a site that, once again, looks almost identical to your credit card’s website. The URL (sorry for the geek speak, that’s just another way of saying the address) in the address line will attempt to look as much like your credit card company as possible. It may also try to misdirect you to believe it’s some security branch of your credit card company or outside Security Company. If you log into the site, the thief has captured your login information and may use it to get access to your REAL account, at which point they pretty much have full access to your information. Some emails direct you to call a customer service number listed in the email. Should you see this, grab your credit card, flip it over and call the number on the back of the card, not the number on the email! Avoiding credit card email scams is relatively easy. Simply put, don’t click on links inside any emails, no matter how urgent the email seems even if they appear to be legitimate. It may seem the expedient way to accomplish the task but it’s not the safe way. 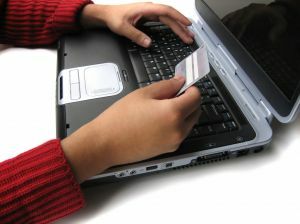 Instead, go directly to your creditor’s website to access your account. If you happen click a link from a credit card email scam, don’t enter your login information on the website, even if it looks just like the creditor’s real website. Close the internet browser and clear your cookies to prevent the scammer from gaining access to your account. If you follow a few simple precautions listed above, you shouldn’t fall victim to the scammer, but it’s possible that some unintended and ill-fated mouse click could compromise your information. If that happens, and you mistakenly enter personal information on a scammer’s site, leave immediately. Again, clear cookies from your computer. Then move on to your credit card’s real website to change your login information. If you use the same login for other websites, change those logins as well. Let your creditor know you accidentally entered your information into a scammer’s website. You may be asked for the website or a copy of the email. Watch your credit card statement closely and let your creditor know if you see charges you didn’t make. 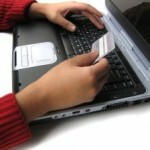 Under federal law, you won’t be liable for charges made with stolen credit card information.